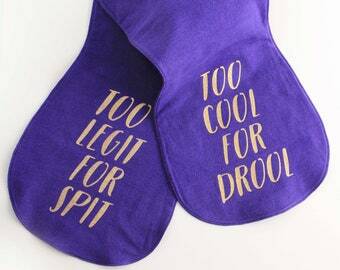 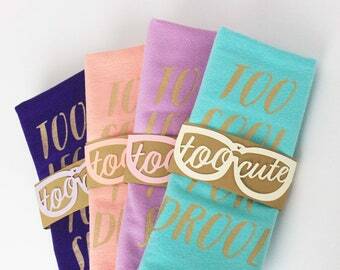 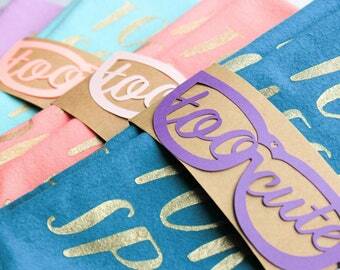 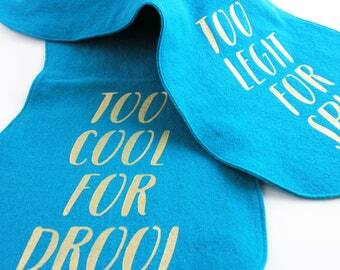 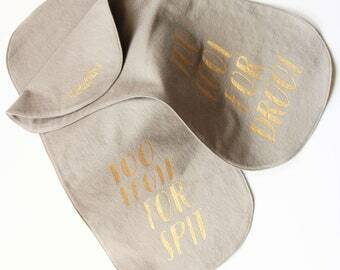 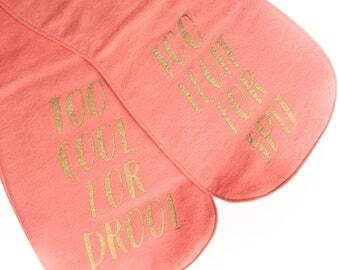 Too legit for spit & Too cool for drool burp cloth set, you get two in cute wrapper packaging! 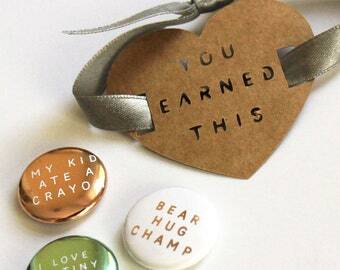 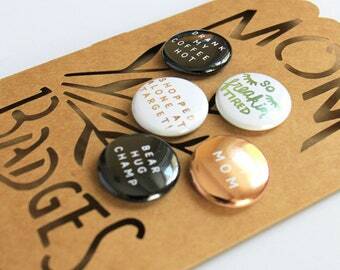 These are sure to make momma smile! 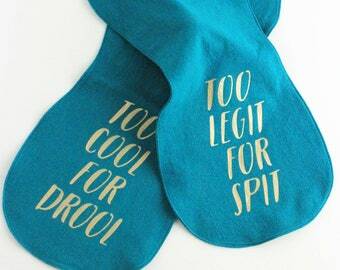 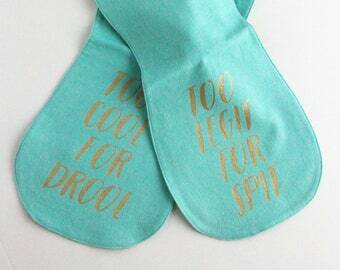 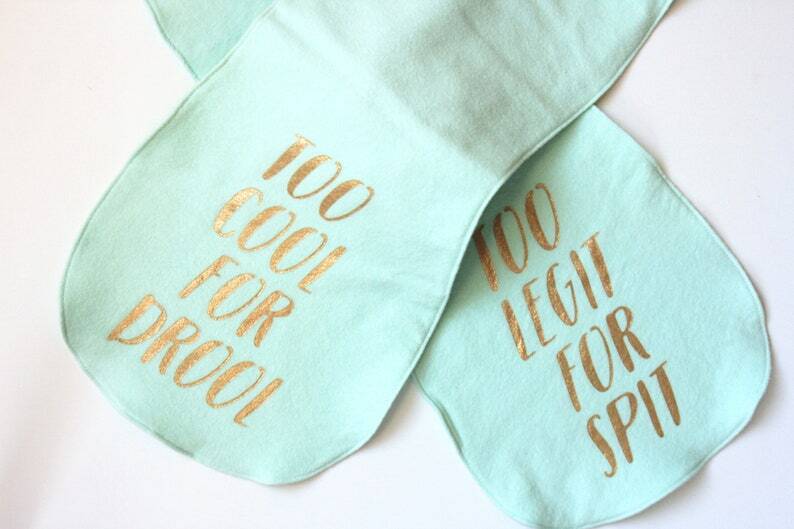 Mint blue/green burp cloths are made out of soft flannel and decorated with a soft metallic gold ink for the phrases. 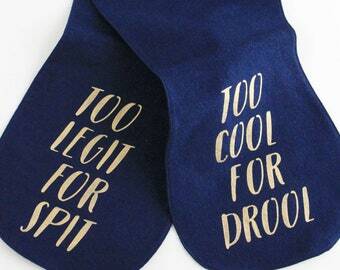 • Features the messages "too legit for spit" & "too cool for drool"